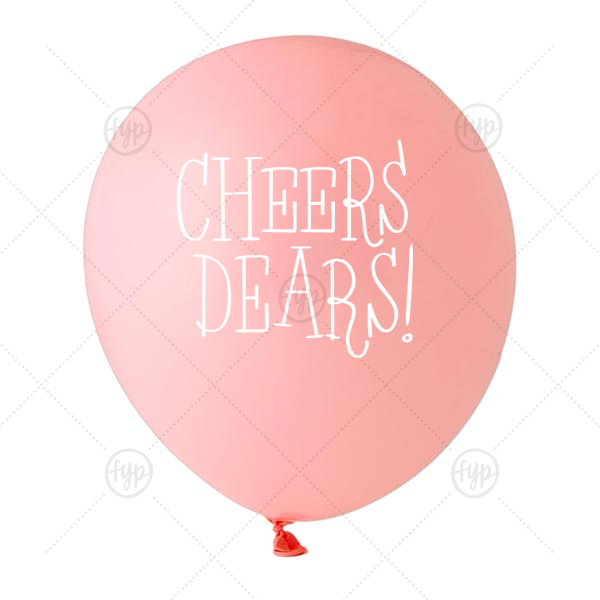 Personalized Pink Designer Balloon with White Ink Color has a Cheers dears graphic and is good for use in Words themed parties and will impress guests like no other. Make this party unforgettable. Orders delivered as soon as 04.24.2019. Exclusions apply.